I learnt this from a bread making class during my visit to Montréal, Canada. The class was conducted mainly in French but the teacher was kind enough to send me the recipe in English. I have made this a few times and it has always turned out praiseworthy. The only warning I have is, “Do not attempt this recipe unless you have at least half a day to spare”. It takes a long time to leaven the dough. 1. Pour flour, sugar, salt, milk powder, egg, butter, yeast and water into a large mixing bowl. Note: If using fresh or active dried yeast, mix yeast with water first before pouring into the rest of the mixture. 2. 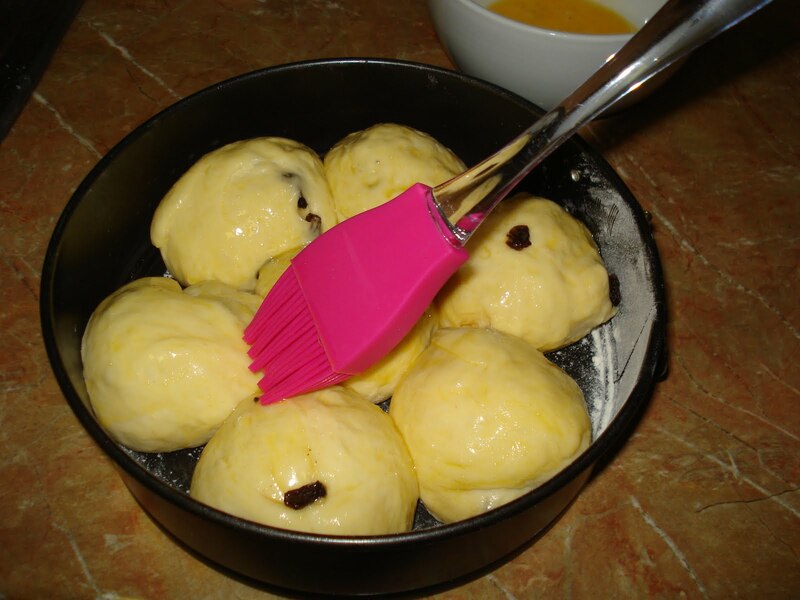 Mix the ingredients for a few minutes using an electric mixer with dough hook attachment. 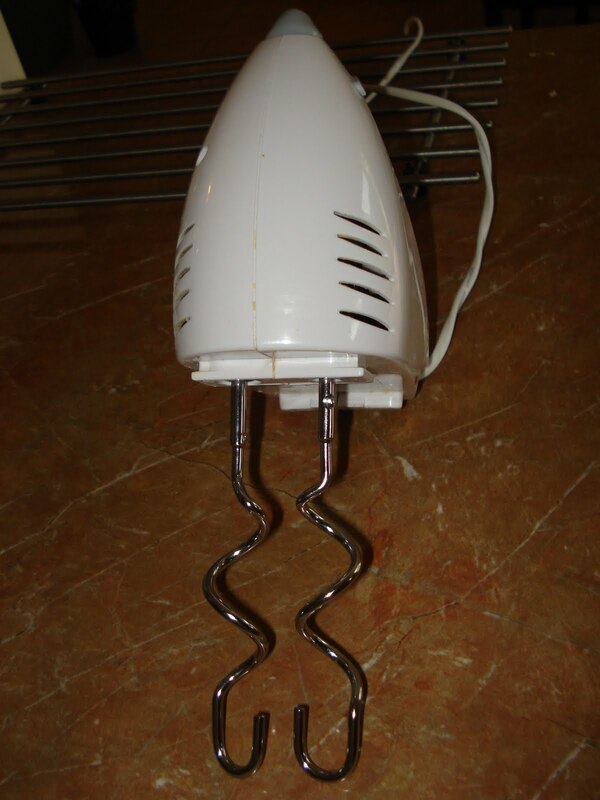 If you do not have an electric mixer, you can mix by hand using a spatula and then fold it on the table for about 15 times. 3. Clean around the mixing bowl and cover it with cling wrap. Let the dough rest for 1 hour. 4. 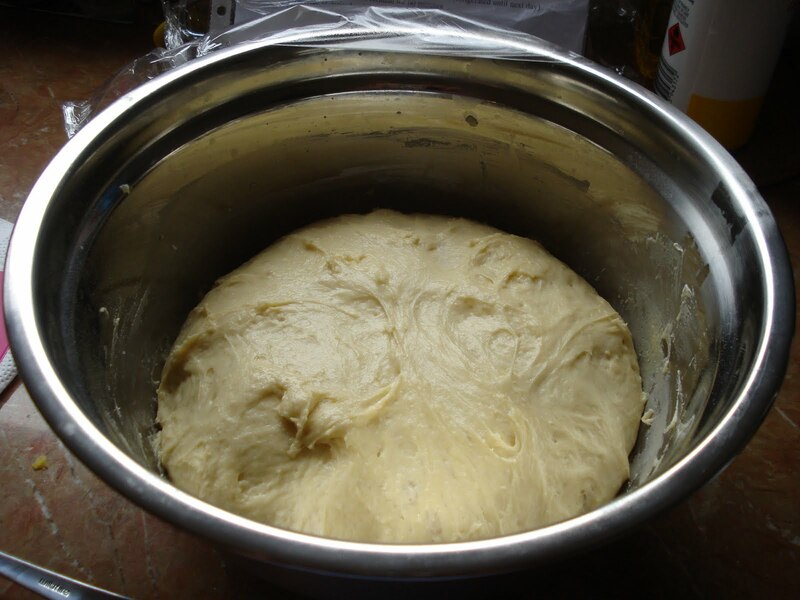 Divide the dough into half. 5. 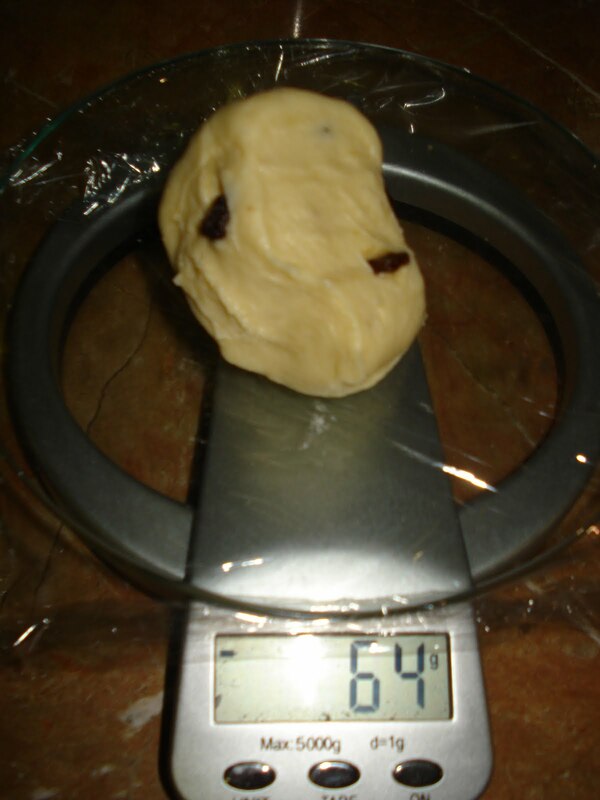 Using a rolling pin, roll the dough on a lightly floured surface into a rectangle. 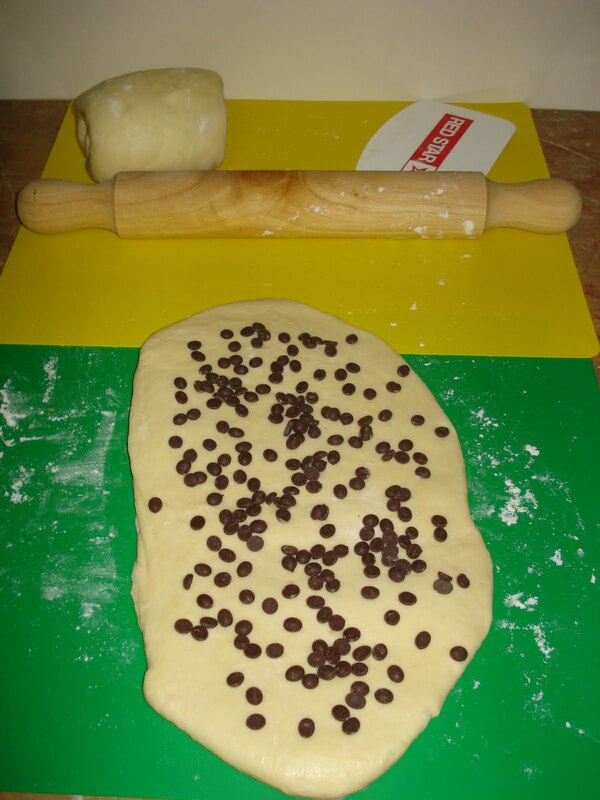 Sprinkle chocolate chips on the first batch and raisin on the second batch. 6. 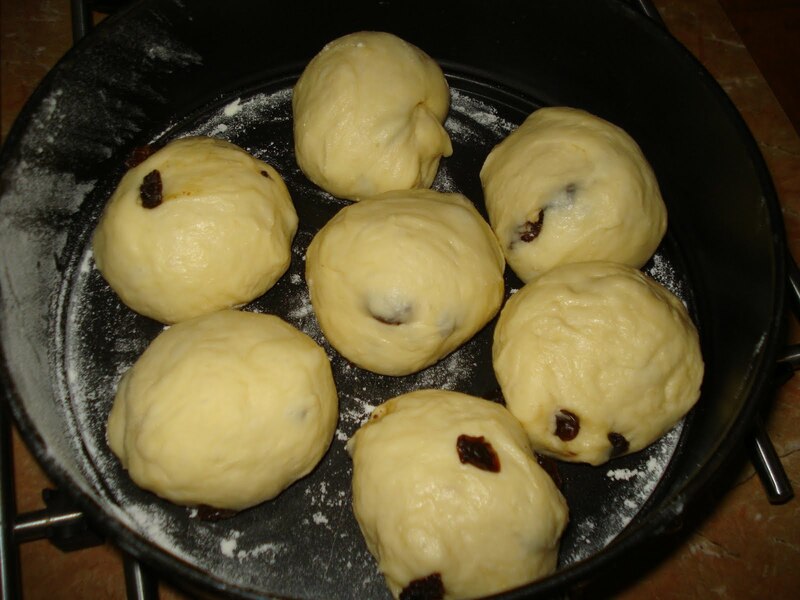 Roll up the dough again to form a cylinder. 8. Gently round the dough and let it rest for another 20 minutes. 9. Lightly floured two round baking tins. 10. 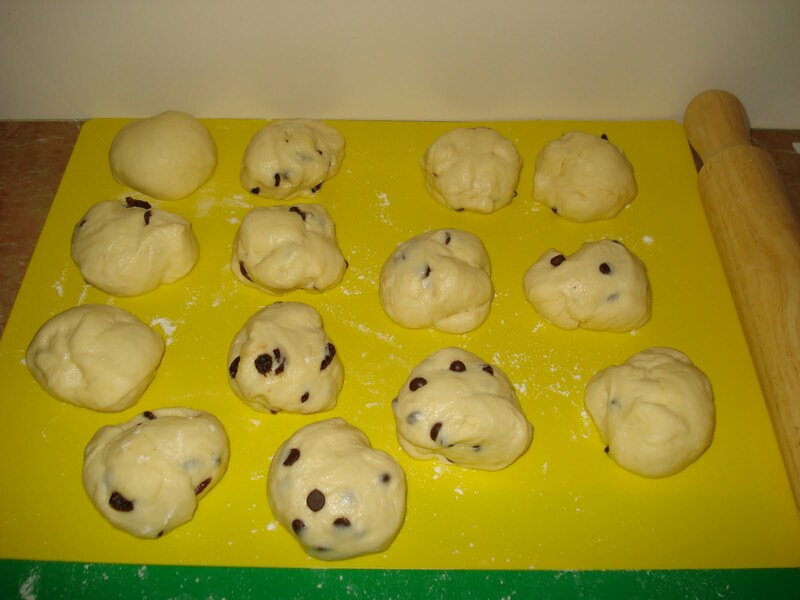 Shape the dough and arrange it on the baking tins. 11. Let it proof for about 75 minutes. 12. Preheat the oven to 175°C. 13. Brush with eggs to give it a nice brown colour. 14. Cut the top into a cross-shape. 15. Optional: Sprinkle with sugar crystals to give it a crunchy bite. 16. Bake for 15-20 minutes until golden. Here is a picture of one I baked earlier using a bigger tin. 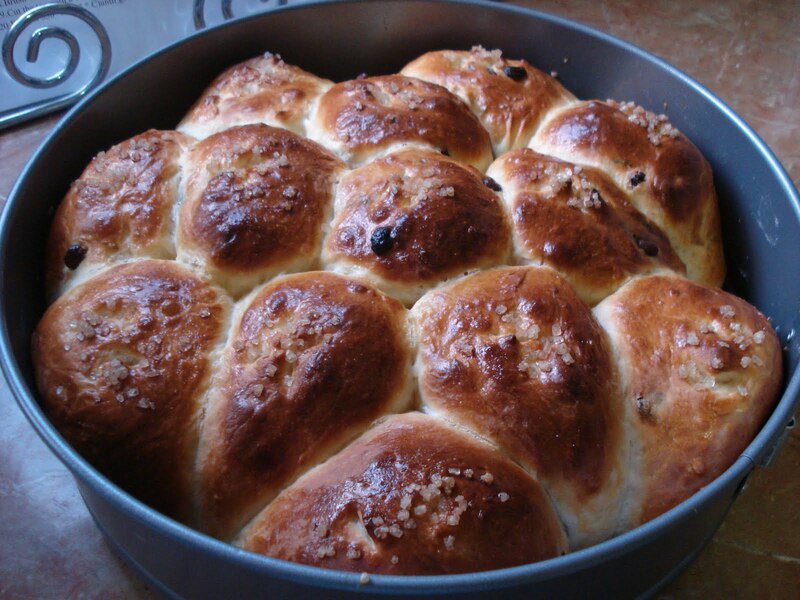 This recipe makes about 14 -15 brioches.